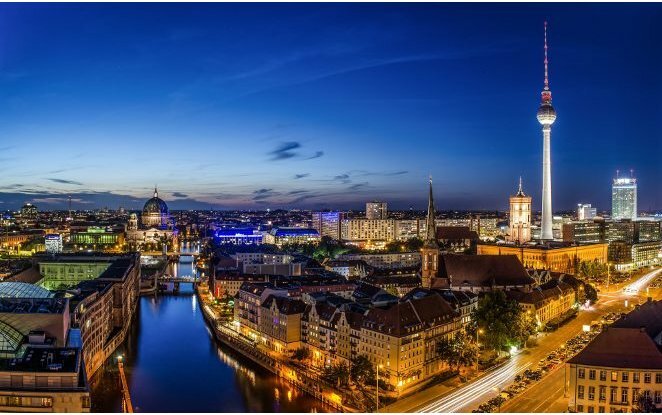 As a leading company in the field of Bioeconomy, Novamont will participate in two important international events in the sector, organized in Berlin by the German government: the G7 conference "Alliance Resource Efficiency" and the Global Bioeconomy Summit. G7 Alliance on Resource Efficiency. On 23-24 November 2015 the German Federal Ministry of Food and Agriculture hosts the G7 conference “Alliance Resource Efficiency - Innovative Biobased Products: Opportunities for substituting non-renewable resources”. Representatives from governments, industry and science from the G7 states (Italy, Germany, France, UK, Japan, Canada and United States) will discuss best practice examples of innovative biobased products and value chains and will explore options for international cooperation. On 23 November, Raffaele Liberali, Regional Minister for Development, Education, Employment and Research of Basilicata Region in Italy, will participate to the session "Opportunities for substituting non-renewable resources with sustainable renewable resources- Strategic approaches in the G7," along with delegates of the other G7 countries. His contribution will focus on the Italian strategy for a development based on the bioeconomy and on the role of the Cluster of Green Chemistry SPRING, of which Novamont is a founding member, in this direction. On 24 November Stefano Facco, New Business Development Manager of Novamont, will present, as successful and practical case study in the biobased sector, Novamont’s model of biorefinery integrated in the local area, which generates multiple products as well as, positive effects all along the value chain. Global Bioeconomy Summit. After the G7 conference on Resource Efficiency and in view of the important decisions expected to be taken at the Paris Conference on Climate Change, the Bioeconomy Council will organize in Berlin, on 25 and 26 November, the first global summit on bioeconomy, under the patronage of the Federal Chancellor Angela Merkel. The summit provides an excellent forum for exchanging views on different approaches and experiences in the field of bioeconomy, and to define common goals at international level for the development of the sector. For this purpose the German Bioeconomy Council invites more than 500 leaders from policy, research, civil society and industry, including Novamont. On 26 November, Giulia Gregori, Strategic Planning and Corporate Communication Manager of Novamont, will participate to the workshop "The Future Role of Biorefining in the Bioeconomy" to present Novamont’s innovative approach in the development of biorefineries for high-added value products, based on the integration with the world of agriculture and maintaining local biodiversity.